People get married at a variety of places around the world, often having no familial, personal, or professional connection to a location, but merely a desire to get married in a certain atmosphere. Divorces are issued all over the world as well, but may only be validly issued by a court with authority or jurisdiction to hear the matter. Consequently, the original court usually retains jurisdiction over enforcement and modification of their issued divorce orders, which can prove problematic when a person moves to another State or country. Any court order issued outside a State, whether that be the next State over or the other side of the world, is considered a foreign judgment, and will not automatically be recognized by the local court if one party needs to enforce or modify the terms. 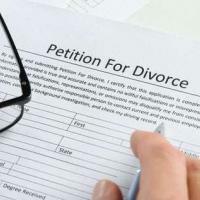 Typically, most spouses seeking divorce will, for convenience and connection sake, petition a court in their resident country, but a court in India recently upheld a woman’s right to seek a divorce from a Florida court, though she has not lived there since 2003, although her husband moved to the State in 2007. Before a court will recognize the legitimacy of a foreign court order, it must be “domesticated.” A discussion of what domestication means, and the options a person has to gain recognition of a foreign court order, will follow below. The need to enforce or modify a foreign judgment is usually related to an ex-spouse failing to fulfill his/her duty to pay support or follow the child custody terms. Domesticating these orders means proving the foreign order was issued lawfully, and thus exists in the eyes of a U.S. court. Orders issued by other States are automatically entitled to full and faith credit under the U.S. Constitution, and will be recognized if the proper procedure was followed. Orders issued by other countries must be enforceable in those localities, and Florida courts may employ a greater degree of scrutiny to ascertain evidence of partiality, lack of due process, or lack of jurisdiction by the issuing court. Further, foreign judgments also need to be consistent with Florida law and public policy before a court will recognize their legitimacy. However, once domesticated, these orders will be treated as if they were issued by a Florida court, and receive the full benefits of local court orders. the Uniform Child Custody Jurisdiction and Enforcement Act for orders related to time-sharing and custody of children. The procedures for each are essentially identical, and require the party seeking enforcement or modification to obtain a certified copy of the judgment and create an affidavit stating his/her wish to domesticate the judgment and a statement that the facts asserted are true. These documents are submitted to the clerk of the court, who sends a notice to the defendant, and gives them 30 days to respond and challenge the validity of the judgment. Assuming the judgment has not been modified or amended, is not on appeal, and no other proceedings in another court are pending, the foreign order is likely to be accepted and domesticated. Dealing with a noncompliant ex-spouse is a stressful and complicated situation, but you do not have to do it alone. Hire one of the experienced attorneys at All Family Law Group, P.A. to enforce your rights. We can offer a number of resolution options to fit your needs, and provide dedicated services to you to obtain the best possible result. Contact the Tampa divorce attorneys and family lawyers at All Family Law Group, P.A. in Tampa Bay for a consultation at no charge. We can be reached at 813-672-1900.